Enzalutamide, a targeted therapy co-invented by a Memorial Sloan Kettering investigator, has received FDA approval for the treatment of men with metastatic prostate cancer. The US Food and Drug Administration announced today that the drug enzalutamide, formerly known as MDV 3100, has been approved for the treatment of men with metastatic prostate cancer (prostate cancer that has spread beyond the primary tumor to other parts of the body). Recently, the results of a large, multicenter phase III study showed that enzalutamide significantly increased survival in men with advanced disease. Investigators led by Howard I. Scher, Chief of Memorial Sloan Kettering’s Genitourinary Oncology Service, first presented their findings at the American Society of Clinical Oncology’s Genitourinary Cancers Symposium in February 2012. The findings were reported online on August 15, 2012 in the New England Journal of Medicine. Laboratory work conducted by Memorial Sloan Kettering’s Charles L. Sawyers, Chair of the Human Oncology and Pathogenesis Program, and colleagues was instrumental in the development of this novel therapy. 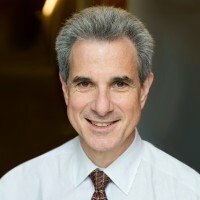 The trial that led to FDA approval, called AFFIRM, was an international phase III randomized, double-blind, placebo-controlled study of enzalutamide in men with prostate cancer who had been previously treated with one to two different types of chemotherapy, one of which contained docetaxel (Taxotere®). Nearly 1,200 men were randomized to receive either enzalutamide or a placebo. On average, treatment with enzalutamide prolonged the lives of the men by nearly five months and reduced their risk of death by 37 percent when compared to the placebo group. As a result, the study was halted in November 2011 so patients in the placebo arm of the trial could be offered the drug. The male hormone testosterone and other androgens fuel the growth of prostate tumors, and some of the standard treatments for metastatic disease are drugs that stop the production or block the action of androgens – the equivalent of castration. Initially, most men respond to this treatment. But eventually the cancer progresses despite continued treatment, and they develop a more aggressive form of the disease called castration-resistant prostate cancer. 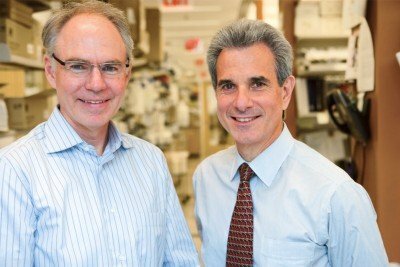 Earlier work by Dr. Sawyers and his enzalutamide co-inventor, chemist Michael Jung of the University of California, Los Angeles, determined that the reason for drug resistance was an increase in the tumor’s production of androgen receptors. Enzalutamide is an oral androgen receptor-signaling inhibitor that targets multiple steps in the androgen receptor-signaling pathway, binding tightly to the androgen receptor and at the same time inhibiting it. This is great news indeed. i am a patient of Dr. Dana Ratkopf, and she's been pushing for this approval for quite a while. Looks like I'll be going on MDV 3100 instead of Zytiga after chemo. My husband is a patient of Dr. Rathkopf as well and he has had one month of MDV3100. His PSA decreased over 400 points in just one month but his blood readings are not as we would like them to be. My husband was on Zytiga for over seven months with almost no side effects, had a trial before MDV3100 and that was not successful so we were both pleased to receive this new drug in hopes for a better quality of life at this stage we are now in. How wonderful this drug will now be available for all in need. I have been on Zolodex for 8 years...and also on Zytiga and Prednisone for the last 7 months. My PSA had dropped from 79 to a low of 1.72 for the 7 month period. However, in late February 2012 I developed a very small tumour on my spine, which fortunately was non-invasive at the time. After 5 light treatments of radiation and 5 weeks of deximethisone (with acute and traumatic side effects...) I returned to the Zytiga and Prednisone until July 15, 2012. The August analysis indicated my PSA was on the move at 2.29 and so I have returned to Zytiga (1000 mg/day) and Prednisone(10 mg/day). I also had an injection of Zolodex in mid August. Since I have been closely following the R&D, and relative Clinical Trials...I was waiting and hoping that the MDV3100 would be approved this year. I have a consultation with my Oncologist at Roswell on September 27th so I will hope I can get on the MDV3100 ASAP. It is exciting news that it has now (August 31st, 2012) been approved by FDA. Once again, there is hope in extending the quality of life for all of us in our fight with prostate cancer. It is clearly an occasion to celebrate with the arrival of MDV3100. Unfortunately, we are unable to answer specific medical questions on our blog. If you would like to make an appointment with a Memorial Sloan-Kettering physician, please call our Physician Referral Service at 800-525-2225. Thanks for your comment! Why wait until after failed chemo for administration of Zytega and/or MDV3100? Prescribe these agents prior to castration resistant disease. Glad to hear progress is being made although too late for my husband who took an infused cancer drug that took out his kidney function. It was downhill from that point on. You haven't mentioned Provenge in your post. Have you been offered Provenge? The link to a short note has been mentioned in response to my question/comment above. Thank you for your comment. Unfortunately, we are unable to answer specific medical questions on our blog, as all of our patients are treated on an individual basis. If your friend would like to make an appointment with a Memorial Sloan-Kettering physician, please call our Physician Referral Service at 800-525-2225.
bone metastases, staying on lupron, adding xgeva. is there something better to be on? My dad was just recently diagnosed with prostate cancer that has spread. The diagnosis was made by urologist that just went off of psa reading at 1200. Apparently with a psa score that high they automatically know the cancer has metastasized. I'm shocked they know this prior to bone scan etc. we are saying our prayers. I have no idea what a prognosis would be in this situation or if it is treatable? Does anyone have any helpful insight? This next week he goes in for needle biopsy and all scans to see where the cancer has spread to. Thanks for your comment. If you would like to make an appointment for your dad to see one of our physicians, please call 800-525-2225. Thank you Dr. Sher & everyone MSKCC This is great news to know that family fighting metastatic prostate cancer have even more hope. My husband is taking chemo and so far everything looks good. We know that one day the chemo will stop working and we have many new options available thanks to all of you, your hard work and dedication. Thank you all so much for granting us time with our loved ones and making their life worth living and giving them time to enjoy life. My dad also has metastatic prostate cancer and is undergoing chemo. Thanks to all the research in this area MSKCC. Vishal jain, read your post . Being an Indian we can maybe exchange few notes as my dad is going thru the same thing. My 85year old dad has had 2 T .U. R. P.,s years ago and now has to see a urologist as hisPSAreading is 90. Does this reading indicate a Ca of the Prostate. Thank you for your comment. Unfortunately, we are unable to answer personal medical questions on our blog. If your father would like to make an appointment with a doctor at Memorial Sloan-Kettering, please call 800-525-2225. My father is 62 years old and after having discovered a prostate cancer with Gleason 9 with metastasis to the sternum already started hormone therapy and things were going well but after 6 months of treatment, a psa rose and chest pain (where there were metastases ) has also started hip and swollen lymph nodes metastasis-like you have to face this stage? very experienced psychologically and does not believe in chemo the doctor has now told to start ... what are we to make children we came to 'last stage or with chemo, as he thinks, the last phase and we no longer speak of years but months ... we are distressed. he became aware of the disease when he could not take place then it seems that every choice is wrong. Psicologiacamente the patient is destroyed, it is not strong .. I would not want the chemo instead of improving the quality of life without the worse results posistivi.Sono welcome any suggestions. thanks a daughter desperate. Tatiana, we are sorry to hear about your father. Unfortunately we are not able to provide personal medical advice on our blog. If you would like to find out about making an appointment to speak with a Memorial Sloan-Kettering doctor, please call 800-525-2225 or go to http://www.mskcc.org/cancer-care/appointment. Thank you for your comment. Lillian, if you would like to learn more about how Memorial Sloan-Kettering treats prostate cancer, you can go to: http://www.mskcc.org/cancer-care/adult/prostate. To make an appointment to speak with a doctor at Memorial Sloan-Kettering, you can call 800-525-2225 or go to http://www.mskcc.org/cancer-care/appointment. Thank you for your comment. My husband is now being treated with Provenge for metastatic prostate cancer. If this treatment does not work will he have to have chemotherapy or is there another drug to treat advanced prostate cancer? Linda, we are not able to answer individual medical questions on our blog. This is something you should discuss with your husband’s doctors. If you’d like to make an appointment to speak with a doctor at MSK, you can call 800-525-2225 or go to http://www.mskcc.org/cancer-care/appointment for more information. Thank you for your comment. My father age 74 has prostate CA psa 22. at the begining in 2013 jan prostate was removed and start harmone Zoaldex. psa drop to 0.2 but increase later and reach 19 after 1 year. Metastatic to lymphnodes. started then chemo taxotere for 8 th cycle and PSA was 0.16 but after removing chemo 6 week later PSA again increase to 1.18 and size of lymphnode also. Hence now waiting for new drug instead of chemo ..tomoorow we will see a doctore. my husband was removed in 2002, and other treatments over the years and has been having gross hematuria for the last 3 months. I believe that the doctors do not have a solid treatment plan apart from bladder irrigation. I have tried to get an appointment at Sloan Kettering because I feel they would have a better plan but is seems like I am trying to get into Fort Knox. He does have good insurance. If it is the bladder tumor that is creating the bleeding, then take it out. This is not even being discussed as if he is on his death bed. It is not over yet, so they should try. Julia, we’re sorry your husband is having a hard time getting an appointment. We recommend you call our Physician Referral Service at 800-525-2225. One of our referral specialists will be able to answer your questions and explain what you need to make an appointment. For more information, you can go to http://www.mskcc.org/cancer-care/appointment. Thank you for your comment. My husband can no longer drive because he was crossing the center line and not driving safely. Thank you. My Oncologist is considering giving me a Provenge treatment. Are you providing it? if so, whom should I contact? Daniel, you can read more about our approaches to treating prostate cancer with systemic therapies on this page: https://www.mskcc.org/cancer-care/types/prostate/treatment/systemic-the…. If you’d like to make an appointment with our experts to discuss which treatments may be right for you, you can call 800-525-2225 or go to https://www.mskcc.org/experience/become-patient/appointment for more information on making an appointment. Thank you for your comment.